. . for the tiger in him! 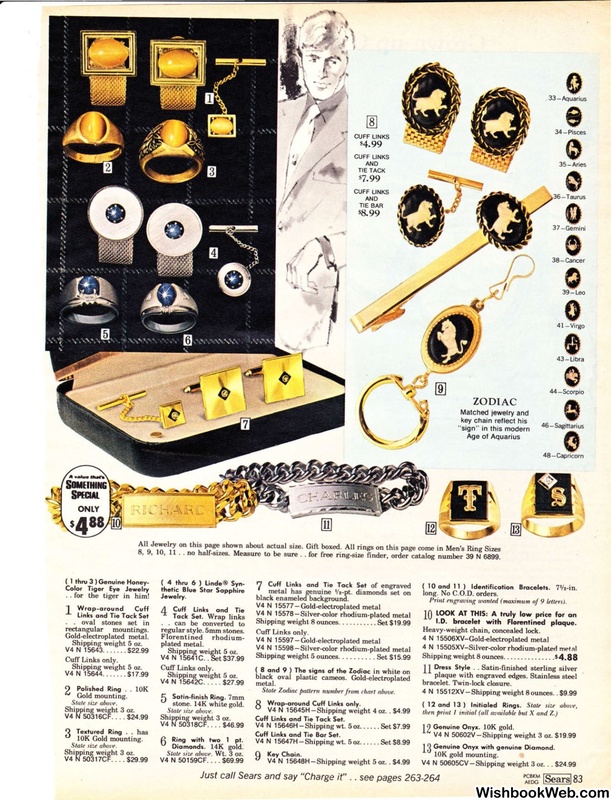 Cuff links and Tie Tack Set. ( 10 and 11 ) Identification Bracelets. 71/2-in. 1.0. bracelet with Florentined plaque. Shipping weight 8 ounces. .. .. . . . . .. . . . .
( 12 and 13 ) Initialed Rings. Cuff links and Tie Bar Set. Ring with two 1 pt.